May 21 to 27 marks the International Week of the Disappeared. On this solemn occasion, the human rights campaign “Prove They Are Alive!” calls upon the government of Turkmenistan to restore the rights of the numerous detainees serving long-term sentences in Turkmenistan’s prisons, about whom no information is available since their imprisonment. We also call upon the international community to put additional pressure on the government of Turkmenistan to immediately stop this crime. 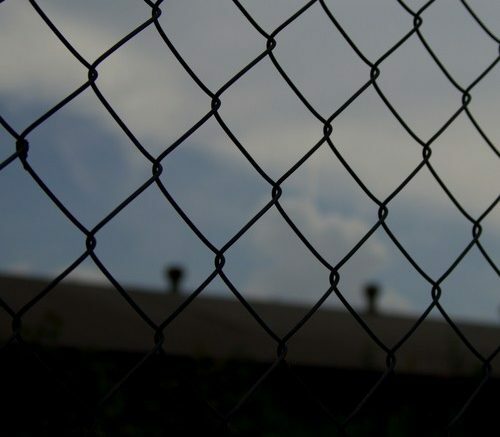 The denial by the Turkmen authorities of its continued heinous practice of disappearing people in prisons and their unwillingness to take any real actions to address this massive humanitarian crisis can no longer be tolerated. “Prove They Are Alive!” has documented 113 cases of enforced disappearances in Turkmenistan. The total number is likely to be several times higher. Excluding conflict-related disappearances, this is the largest number of enforced disappearances in an OSCE participating state. Behind each case is a human tragedy, a person who has been held incommunicado, in some cases for more than sixteen years, with no contact with families or the outside world, no access to medical services, legal counsel, or independent monitoring. Enforced disappearances are absolutely prohibited under international law and are a grave crime subject to universal jurisdiction for the purpose of prosecuting those responsible. They constitute flagrant and serious violations of rights enshrined under the ICCPR and the Convention against Torture, to which Turkmenistan is a state party. These include great threats to the right to life; the right to freedom from torture or cruel, inhuman, or degrading treatment; the right to liberty and security; the right to recognition as a person before the law; and the right of all detained people to be treated with humanity. OSCE documents enshrine these same rights and freedoms, which participating states have made a commitment to respect. Turkmen domestic criminal legislation does not permit full isolation of prisoners, regardless of the crime committed. Nevertheless, the authorities impose this cruel and illegal punishment on people they consider to be a political threat to their absolute power due to their opinions, influence, or visibility. Enforced disappearances cause suffering among detainees’ families who have not been able to learn about the fates of their loved ones. This is also a form of torture. Many relatives of the disappeared in Turkmenistan have faced a number of other violations of their rights. For example, Turkmen authorities have banned them from travel abroad in a form of collective punishment aimed at preventing them from speaking out about the fate of their family members. Most people on the campaign’s list of the disappeared were arrested following a wave of purges and repression in the early 2000s. The largest group of the disappeared was accused of an assassination attempt on then-President of Turkmenistan Saparmurat Niyazov on November 25, 2002. After a series of closed and rushed trials, more than 60 people were convicted on charges of involvement in the alleged coup attempt. Some of them have died in prison while the fate of many others remains unknown. The OSCE Moscow Mechanism report with respect to Turkmenistan, issued 15 years ago, helped stop further unfolding of the repression. However, disappearances in prisons have continued all these years. The victims include government ministers and other high-level officials, ambassadors, civic activists, journalists, and, in recent years, an increasing number of people accused of “Islamic extremism.” Most recent cases of disappearances date from 2016 and 2017, which suggests that more international pressure is needed to force the Turkmen authorities to halt this illegal practice. For over 16 years, people continue to die in prisons, in some cases after they have been held in full isolation for many years. Close to 30 cases of deaths of the disappeared in custody have been documented, including at least 10 deaths in the last three years. It is likely that the number of deaths is much higher. These reports of deaths in custody of victims of enforced disappearances are a stark reminder of the urgency of the crisis. In just the first few months of 2018, we learned about the deaths of Begmurad Otuzov, who died in prison in early February 2018 after more than 15 years in full isolation, and Allamurat Allakuliev, who died after 16 years of being held with no contact with the outside world. When their bodies were handed over to relatives for burial, they bore signs of malnutrition. In 2018-2020, the prison terms of at least 16 people on the campaign’s list are scheduled to end or should have already ended. Most of them are hopefully still alive. There is a high risk that new prison terms will be added on trumped-up charges to keep them incarcerated and prevent information about prison conditions and torture from getting out. This practice is widely used in Turkmenistan. However, if stronger pressure is applied, these individuals’ lives could be saved. International organizations and foreign governments have consistently put pressure on Turkmenistan to cease this practice. In April 2018, The European Union issued a statement condemning the recent deaths of victims of enforced disappearances. In November 2016 and March 2017 respectively, the UN Human Rights Committee and the UN Committee against Torture noted enforced disappearances as a grave and persistent violation by Turkmenistan of the UN Convention Against Torture and of the International Covenant on Civil and Political Rights (ICCPR). The European Union tries to find a solution through its annual Human Rights Dialogue with Turkmenistan; in 2015 and 2016, the European Parliament twice suspended its approval of a Partnership and Cooperation Agreement between the EU and Turkmenistan on human rights grounds, including enforced disappearances. OSCE participating states have repeatedly called for an end to disappearances in Turkmenistan. The UN Working Group on Enforced and Involuntary Disappearances has communicated several cases to the Turkmen authorities. In October 2014, the UN Human Rights Committee issued a decision on the case of Boris Shikhmuradov, former Minister of Foreign Affairs of Turkmenistan, acknowledging him as a victim of enforced disappearance and numerous other human rights violations. The Committee said that Turkmenistan is under obligation to disclose information about where he is detained, provide him and his family with an effective remedy, and prevent similar violations in the future. Turkmenistan has not reacted to this decision in any way. In defiance of sustained demands from authoritative UN bodies and other pressure from the international community, the Turkmen authorities have failed to disclose concrete information about the disappeared to their families, Turkmen society, and the international community; have not implemented relevant decisions by inter-governmental bodies; and have avoided taking any significant steps to end this gross violation of human rights. They avoid providing answers to the key questions about disappearances posed by international partners, and instead shower them with information that is not pertinent to enforced disappearances. Responses of the Turkmen government have been limited to denying the problem, ignoring concrete questions, providing incomplete or false information on individual cases, and a couple of showcase visits by diplomats to freshly painted prison colonies with no access to inmates. In March 2017, the International Committee of the Red Cross withdrew from their negotiations on cooperation with Turkmenistan, citing total unwillingness of the authorities to accept standard ICRC requirements for prison visits. During the Universal Periodic Review of Turkmenistan at the United Nations in May of this year almost 20 delegations raised the problem of the disappeared in their statements. They recommended that immediate steps be taken to release the disappeared, and that, pending release, families be informed of their whereabouts and condition, and that visits from independent monitors to their place of detention be facilitated by the government. In spite of these statements, the Turkmen delegation again blatantly denied the existence of the problem of enforced disappearances. This cannot be called engagement in good faith. The solution to enforced disappearance is not returning dead bodies after many years of full isolation or exchanging some limited information with international organizations behind closed doors. The solution is to ensure immediate access to prisoners by their relatives, lawyers, and independent monitors such as the ICRC. The solution is immediate contact of the forcibly disappeared persons with the outside world. The government of Turkmenistan must live up to its international promises and, at the very least, answer the fundamental question of the Prove They Are Alive campaign: Are They Alive? To make sure this happens, the international community should adopt a new strategy to address the crisis of enforced disappearances in Turkmenistan. The core of such a strategy should be the utilization of more resolute and proactive means, including application of conditionalities in economic cooperation agreements, based on specific benchmarks of tangible progress, and the application of available mechanisms of reaction to human dimension crises, including in the UN Human Rights Council and the OSCE. Yuri Dzhibladze, Prove They Are Alive!